Bring a Midas touch to your morning coffee routine. 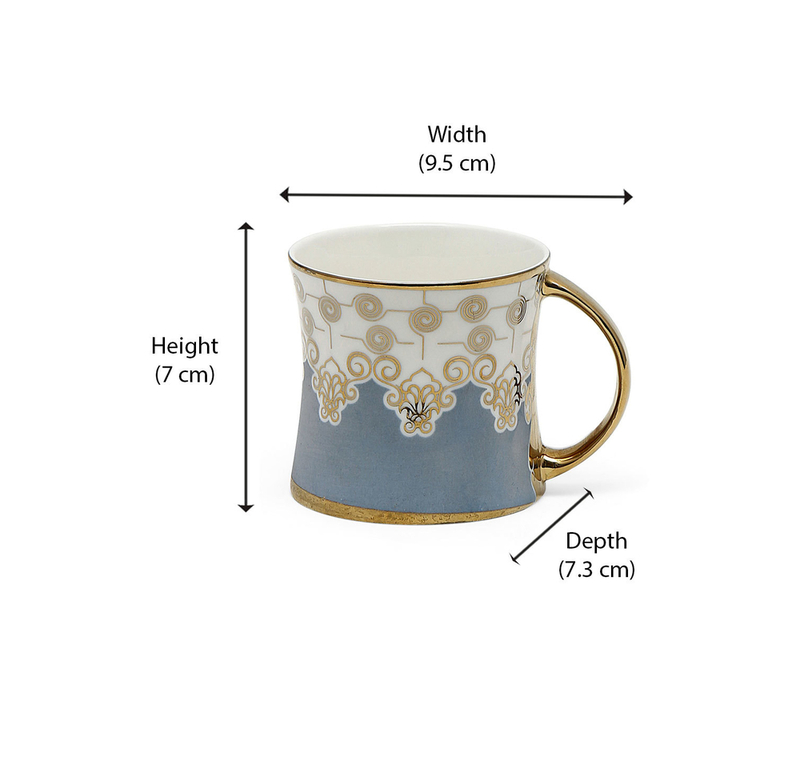 The Ebony Liza coffee mug ensures your day begins with a gleam of blue and gold. A plain white mug is updated with decorative patterns, swirling around the round mug, while the ceramic gives it the sheen. The handle is immersed in gold just like a golden ring. Wrap two of these together and it becomes a brilliant surprise gift for a couple. The size is perfect a piping hot cup of coffee on a winter morning or a nippy evening.